Immigration advocates breathed a sigh of relief Tuesday after Supreme Court Clerk Scott Harris notified lawyers in Texas v. U.S. that the plaintiffs would only get an 8 day extension, not the 30 days that they asked for. A 30-day extension would have virtually guaranteed a bump of the case until after the court’s summer recess, increasing the odds that the contentious immigration case would not be decided until after President Obama left office. The decision is a rare victory for the White House after two lower courts have ruled against it, at a snail’s pace. Texas must now submit a brief by December 29th so that the Supreme Court can consider taking the case (it is widely expected to do so) in a preliminary January 15th hearing, according to SCOTUS Blog . That could mean a ruling as early as June of 2016, ahead of the Presidential election. If allowed by the court, Obama’s executive orders that would temporarily shield up to 5 million immigrants in the country illegally from deportation. Opponents of the President’s immigration policies had hoped that the case would be delayed until he left office. They are currently frozen under an injunction initiated and upheld by district and circuit courts. Texas is joined by a coalition of 23 states who oppose Obama’s programs, called DACA and DAPA, which would give temporary legal status and work permits to immigrants in the country illegally and their parents, respectively. Texas District Court Judge Andrew S. Hanen froze Obama’s programs, which would have gone into effect in February of 2015, ruling that there would be now way to “put the toothpaste back in the tube” if the federal government lost the case. 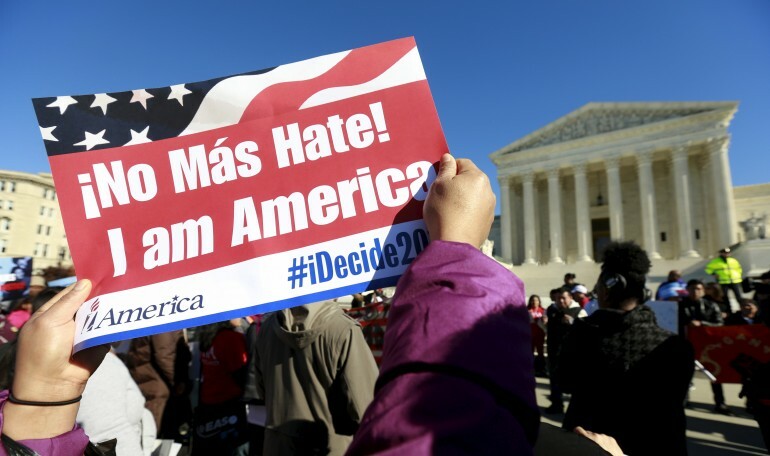 Also on Wednesday, immigration advocates announced that hundreds of organizations have joined amici curiae brief in support of the White House.